The following announcements are about changes to some of the e-resource subscriptions and products that Ford Library provides to Duke University. 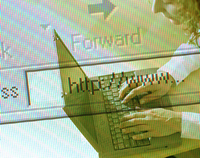 Some of the links in this post may require off-campus users to activate a Duke VPN connection. EIU Publications – Due to their excessively high costs, we can no longer subscribe to the Economist Country Reports, and several other Economist Intelligence Unit publications. This linked graphic details the components of our subscription that we will be dropping (in red), and those we will retain (in green). Ford Library will continue to provide Duke with other resources for strong coverage of globally focused economic and business news and data. Proquest has significantly improved its available resources in this area; and our IHS Global Insight database has comparable access to country reports, and better tools for macroeconomic data retrieval. ISI Emerging Markets also has excellent news and macroeconomic data coverage. Mintzberg, Henry. Managing. Berrett-Koehler Publishers, 2009. 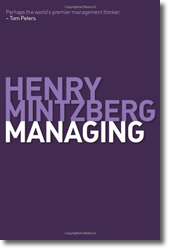 Henry Mintzberg’s first book, The Nature of Managerial Work, was assigned reading for MBA students at Indiana Univ. in the 1970’s. Mintzberg observed five senior managers for a week and described the true practice of management. 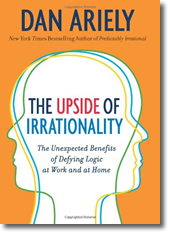 At the time, Mintzberg concluded that managers worked long hours at a demanding pace. The work was fragmented and varied with little pattern. Interruptions were continuous. Managers preferred verbal communication over written reports and relationships with peers, clients and associates were critical to success. According to Mintzberg, the practice of management cannot be taught. Managers learn primarily through their own efforts and through experience on the job. Success depends on the context — company, the culture, the industry, the job level, the work itself. A successful manager is an emotionally healthy person with good judgment in the right job. The newly published Managing is far easier and more enjoyable to read than his earlier work. I might have been a better student (and manager) if this book had been published in the 70’s. All ProQuest databases (including ABI-INFORM Complete) will be temporarily unavailable this weekend while the vendor performs necessary system maintenance. This 8 hour maintenance outage will take place from Saturday, Saturday, July 10, 2010, at 10:00PM EST to Sunday, July 11, 2010 at 6:00AM EST. Fuqua & Duke users may select alternative databases for article searches during the maintenance window by visiting our Databases By Subject page. Thanks for your patience during this essential maintenance. Ford Library’s Data Resources Room will be undergoing a wiring upgrade beginning in the late morning on Wednesday, July 7, 2010. To make our Data Resources Room even more user friendly, new power and network wiring will be installed this week so that we can re-configure the current computer table layout. We’ll do our best to keep some of the workstations in the room available to users; but there will be moderate noise and electricians working in the room for the remainder of the week, and possibly into next week (July 12 -16). While this work is underway, some workstations may be unavailable, and we may need to close the room entirely to users if exposed wiring and cabling become a safety hazard. Thanks for your patience while we upgrade our facilities, and our apologies for any inconvenience the above may cause you. Please let us know if you have any questions or concerns.